College is no walk in the park. It is sure to be the best and worst days of your life. In these few years, your decisions will greatly affect your future. Getting into a university is as difficult as choosing a degree, and you might be indecisive right now – but that’s completely normal. 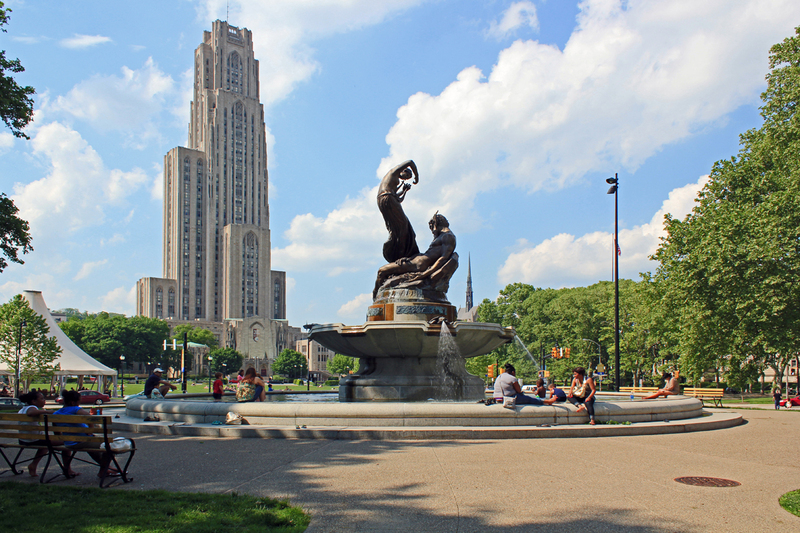 To help you decide on what you want to do for the rest of your life, or at least until your college years are over, let’s first take a look at the top 10 hardest courses the University of Pittsburgh has to offer. This course focuses more on the practical application of lessons learned during lectures. Bioengineering is a tough course since your technical writing, graphing, data analysis and statistics knowledge will constantly be put to test. Therefore, it as a great course to regularly challenge yourself but keep in mind that these challenges are not for the faint of heart. In the age of technology, it is no wonder that telecommunications would be an in-demand course. But don’t let it fool you, this course is as tough as the others on this list. By carefully scrutinizing the in’s and outs of network development, you will be expected to analyze how society deals with information and the overall structure of networks being used today. It is a difficult course due to the fact that as a student, you have to be able to identify small mistakes that greatly affects the system. If you are not detail oriented, then this would be particularly challenging for you. Health care is a privilege everyone needs, as a result, family medicine focuses on affordable healthcare for all. By studying how to manage HMOs and treating medically and mentally ill patients, you will be versed in public medical service upon graduation. It is a course that requires unwavering determination to face various courses and topics that will test your willpower and critical skills. National security is a huge issue that should not be taken lightly, that’s why emergency preparedness is a tough course to endure. You will be studying and developing ways to ensure that the masses will be able to respond in times of peril. This is a great course for anyone eager to serve the people. This course is designed to educate students in terms and processes used by ‘firms’. Though accounting is constantly growing and evolving with time, the university prepares its students to be able to adapt and cope with the changes. They aim to equip their students with communication, technical and interpersonal skills that they are sure to be used as professionals in the concrete jungle. This course heavily demands time and critical thinking, so make sure that if this is the path you will choose, you are mentally prepared to study for long hours of investigative and critical thinking. If you have a passion for all things math related, then this course is perfect for you. When studying Actuarial Mathematics you will be expected to receive a grade minimum of B from every imaginable math course such as Calculus 1 (Math 0220), Linear Algebra (Math 1180), Applies Statistics ( Stat 1000), and so much more. Being a mathematician requires knowledge in various fields, which means long hours of studying and extensive know-how of basic and advanced mathematical equations. Shaping the minds of the future is no easy task. Because it demands a lot of time and devotion to understanding the best and most efficient way to educate the minds of the future. You will continuously be using analytical skills to unravel the academic strategies used by educators everywhere. Wouldn’t it be great if we knew where we came from? This is the basic premise for anthropology. This course aims to understand the genetic basis of our evolution and adaptation. That is why it is difficult to study evolution. First of all, understanding how we evolve and the culture that stems from adaptation is a complex topic. Many topics are debatable, especially since anthropology is deeply rooted in Charles Darwin’s theories. It is certainly an exciting and challenging course to take. Money makes the world go round, and economics helps us understand the complex system of how money moves. By learning how consumer and suppliers behave and analysis of the economic growth, we can understand how money powers the world. The human brain is one of the most complicated and fragile of organs, due to an abundance of synapses that make up for why we are what we are. As a result you will be exploring the link between how the human brain works and how it behaves. It is a curious course where you will be studying sensory perception, clinical disorders and other mechanisms of behavior. Neuroscience is difficult if you are not intrigued by these topics because, in this class, you will learn more about yourself and others around you. Whatever course you choose to take, you will always face decisions and trials that will test your determination. That is why, you need to make sure that before choosing a course, you know in your heart that this is something you want to do. If you are focused and determined to finish a course, there is no way you would fail.